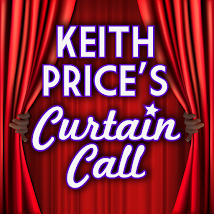 Keith Price's Curtain Call: Keith Price's Curtain Call features the Top 20 Episodes from our first year together. 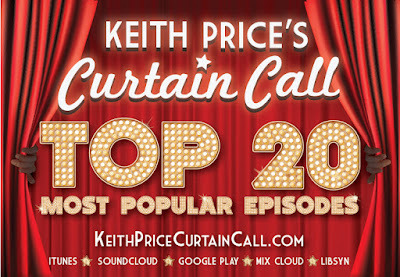 Keith Price's Curtain Call features the Top 20 Episodes from our first year together. Ringing in at #20, Tony Award nominated actor, Rob McClure, is the best of example of a great guy. Since first meeting him during his CHAPLIN period, Rob has become a friend to the podcast, and a friend of mine. He's currently touring the country as a leading man in SOMETHING ROTTEN. At the time of this interview, Rob was about to debut his new cabaret/one man show, SMILE, while finishing up his run in NOISES OFF, and later stepping into the Broadway run of Something Rotten. 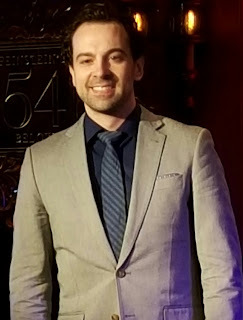 He also was able to bring SMILE to Feinstein's 54 Below. 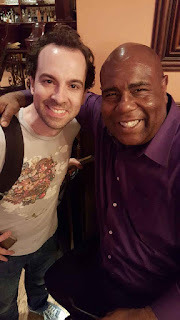 He is currently helping to develop an app along with a young singer/actor/app developer, Andrew Goren, that helps singers harmonize called Harmony Helper, coming late spring/ early summer 2017. CLICK HERE to hear this fabulous guy. Go See Him in Something Rotten as it tours the country.